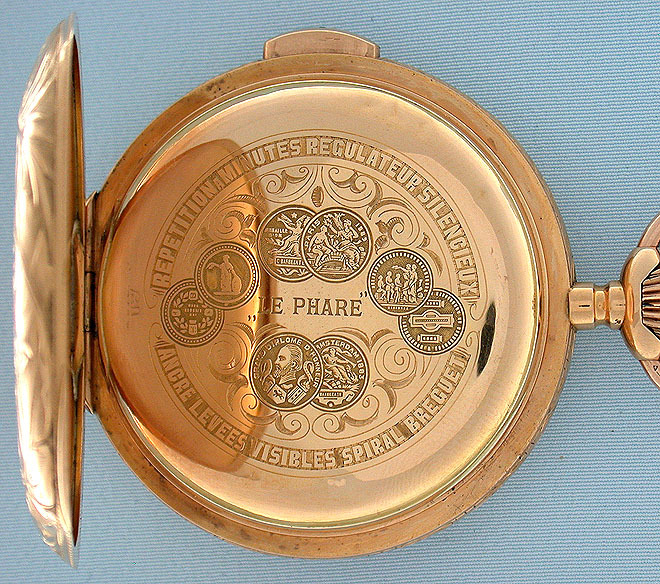 Fine and beautiful LePhare 18K gold minute repeating antique pocket watch circa 1890. 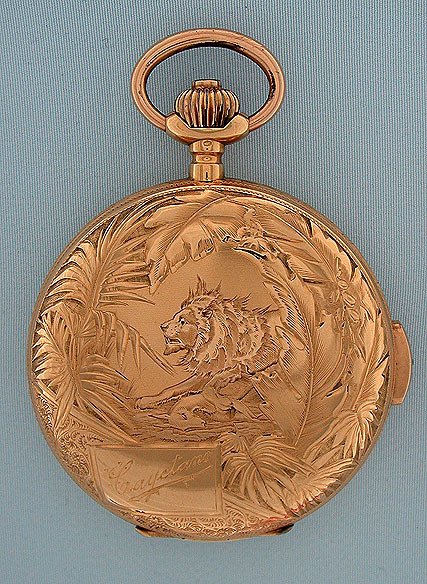 The case finely engraved with lush jungle foliage, the cover centered with a lion. 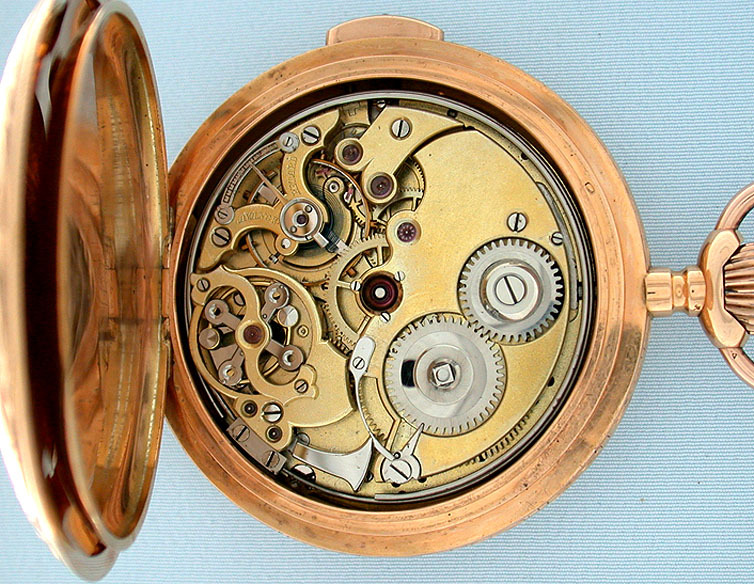 Button in the band to activate the repeater. 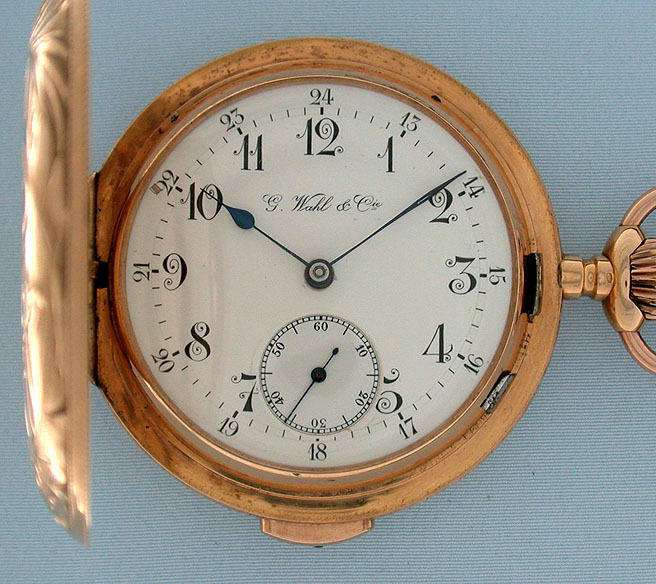 White enamel dial with fancy arabic numerals, blued steel hands, and the name of the retailer. 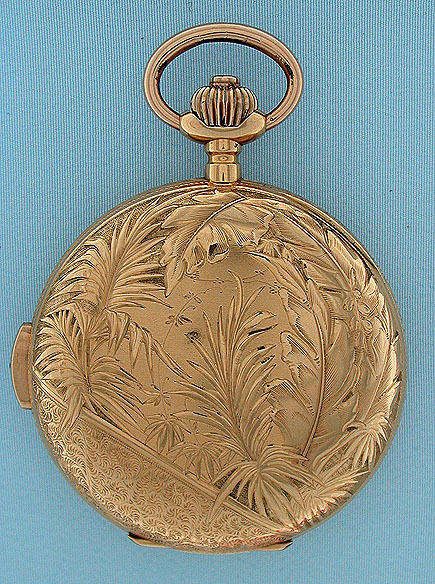 The dust cover with medals won and details of the movement. Gilt 20 jewel movement jeweled to the hammers and the center and with silent repeat governor.